Along with our service department we also complete lots of insurance approved collision work to help get you back on the road in a timely manner. Book your service appointment today and come see why the Mississauga Auto Centre is a step above in regards to quality and speed of service. Mississauga Auto Centre strives to make customers feel both comfortable and welcome throughout the entire process of buying and owning a vehicle. In order to accomplish this objective, we offer parts and service to our Burlington customers who need repairs on their car or simply want improvements to be made. 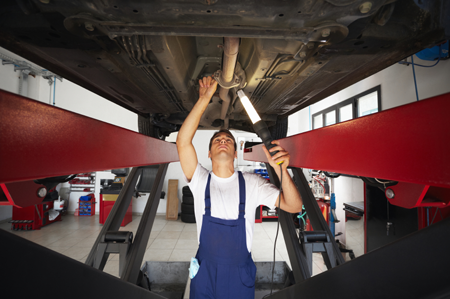 Our mechanics are proficient at servicing many different vehicle models, and customers should feel relaxed knowing that their cars are being properly handled. The equipment that we use is specialized and capable of delivering exceptional maintenance results. We will do our best to address any of the concerns that you have. We know that upholding the maintenance on a vehicle can be a frustrating experience for some people, but we work to alter this perception through our assistance and support.